Are you making these SEO mistakes with your website? Professional content writers emphasize the importance of using proper search engine optimization tactics to ensure your website is visible to the right people. However, if you’re handling strategic posting for SEO on your own, you could be making some serious SEO mistakes that are actually hurting your rankings. This is why it’s important to work with experienced content writers for websites. They make it their job to stay on top of the latest SEO trends so you can be sure your website ranks well, helping you effectively reach your target audience. One of the easiest SEO mistakes to make is duplicating your content. When most people think of duplicate content, they consider copying content from another website. While this is certainly the case, a mobile marketing content writing service understands the real possibility of copying your own content and the consequences that come along with it. Even though you may own the content and be perfectly within your rights to repost it, the search engines don’t care about whether you are allowed to repost identical content. Even something as simple as including a single paragraph of duplicate content on each of your internal webpages can be enough to earn you a penalty. There are other ways you can inadvertently duplicate your content as well. Watch what you write in the meta description, page title and headers because these areas can trigger the search engines to duplicate content as well. Even a simple rewording can go a long way toward improving your search rankings and preventing duplication of content. Strategic posting for SEO is essential for successful content marketing. On the other side of the picture, not having enough content on your website can prevent better search rankings. The search engines are constantly crawling the Internet to look for the newest content to share with users. This means you need to work with professional content writers who can create a steady flow of quality content for your website. Without fresh content on a regular basis, your website may fall in the rankings instead of rising or maintaining its current position. In addition to making sure you keep your content fresh and up-to-date, particularly on your blog, you also need to ensure there are enough words on every page. Some companies think they can put a couple of sentences on a page and it will attract the attention of the search engines. This isn’t typically the case. You should have at least 250 words on every page to improve your chances of ranking well. 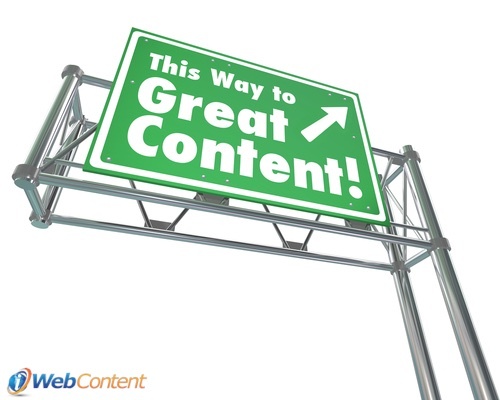 Professional content writers can help with your SEO strategy. Your readers are the most important element in the success of your website. If you aren’t writing for them, you are missing your mark. Search engines don’t just look for certain keywords used in the content. They are also looking for the readability and usability of the content. This means you need to think about your readers first and foremost. This is why many content writers for websites take on a more conversational tone, especially in blog posts, to draw in the readers and make them feel like you are talking directly to them. When the search engines realize you cater to your readers and have their best interests at heart, you will find your website slowly moves up in the rankings. A mobile marketing content writing service can provide the assistance you need to avoid these and other common SEO mistakes. Strategic posting for SEO is now a necessity to ensure your website ranks well and you can bring in the traffic you need to generate more sales. Unfortunately, many businesses feel hiring professional content writers is too far outside their budget. However, when you think about the damage a low-ranking website can do, it’s well worth the investment to get the content you need to get results. If you’re looking for content writers for websites who have the right experience, contact us. Our experienced team of professionals can provide the services you need to improve your site rankings.